of The Making of the Mob: Chicago. The Making of the Mob: Chicago premiered earlier this month on AMC and airs weekly on Monday evenings at 10/9 p.m. (EDT), including tonight. The show, which this year focuses on Chicago boss Al Capone, among other Outfit bosses and heavyweights, was produced by Stephen David Entertainment, which produced the first installment, last year's The Making of the Mob: New York. Last year's Making of the Mob was criticized for featuring actors who played mobsters -- instead of only emphasizing people with expert knowledge, such as former mobsters, authors, reporters and historians. Still, it received high ratings based on Neilson data. The Making of the Mob: Chicago is an eight-episode docu-drama chronicling the rise and fall of iconic gangster Al Capone, as well as the story of his successors, collectively known as “The Chicago Outfit.” Spanning the better part of a century, the series begins with Capone’s early days in New York and continues through his move to Chicago - to work with his childhood mentor in the underworld. When Prohibition hits, battles break out as the city’s gangs rush to set up bootlegging operations and Capone decides to go up against his rivals. As he consolidates power, he achieves legendary status for his ruthless tactics and over-the-top lifestyle that attracts the wrath of President Herbert Hoover. The renewal of AMC's Making of the Mob franchise was reported last year. As Variety noted: “The Making of the Mob: Chicago will document the emergence of organized crime in Middle America, focusing on Al Capone, following the iconic gangster’s early days in New York to his prolonged war with the Irish gangs of Chicago to his battles with Eliot Ness." Making of the Mob: Chicago spans a longer period of time than last year's installment. The show this year includes the assassination of John F. Kennedy. “We’ve had an amazing experience with AMC on The Making of the Mob: New York and to get to explore a second season focusing on Al Capone and Chicago is a dream,” said exec producer Stephen David, president of Stephen David Entertainment. Last summer the Making of the Mob franchise was described as a steady performer for AMC. According to Variety, based on Nielsen’s “live plus-3” estimates, it averaged 1.52 million viewers overall. Christopher Valente, who was born in Naples, Italy, plays the role of Paul Ricca, who likewise was born in Naples. Valente sees this as a major benefit for his performance. In an interview, he noted some similarities between himself and Ricca, known as The Waiter (1897 – October 11, 1972), who served as a de facto leader of the Chicago Outfit for decades. “I think what’s great about this show is that it shows Capone as a family man first. The best way is to show the human side as opposed to a bad guy. People only do things because of their motives, not just because they’re bad. 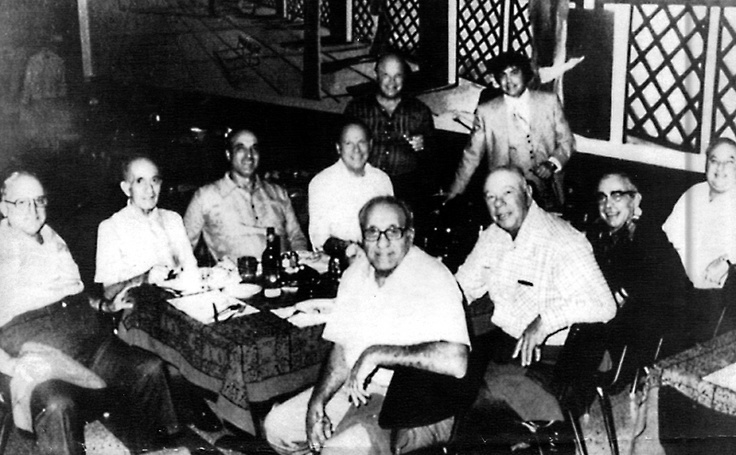 These guys got to where they did for a reason; they knew what they were doing,” he said of the real life events and people who shape the storyline of The Making of the Mob: Chicago. Valente said that the second season spans a longer time period than last year's installment. “There are a lot of new things coming into light, and you get to see the people you’ve heard about do all these different things that you didn’t know they did,” he offered.